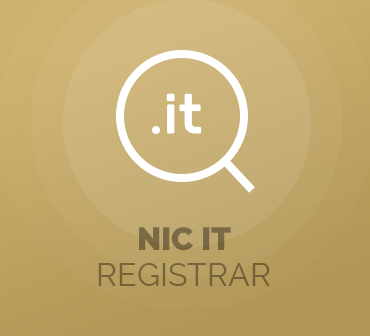 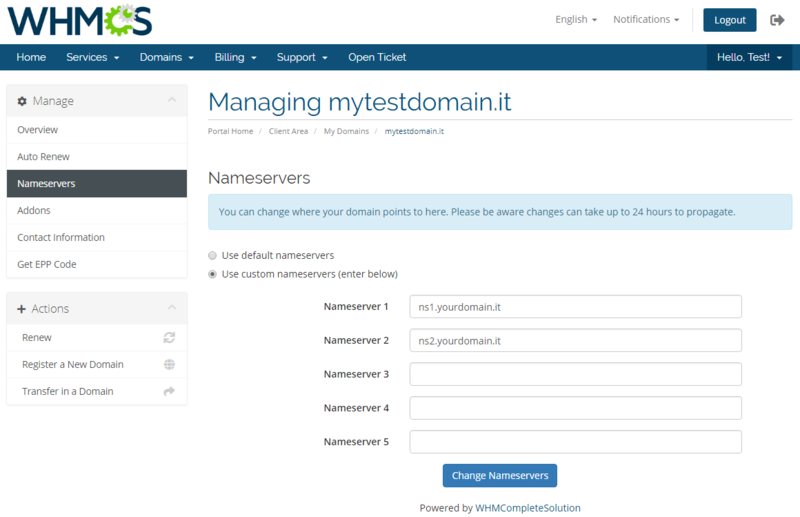 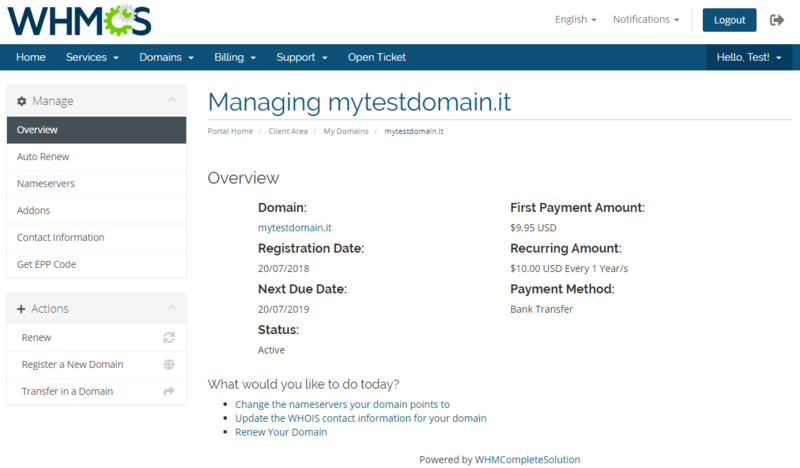 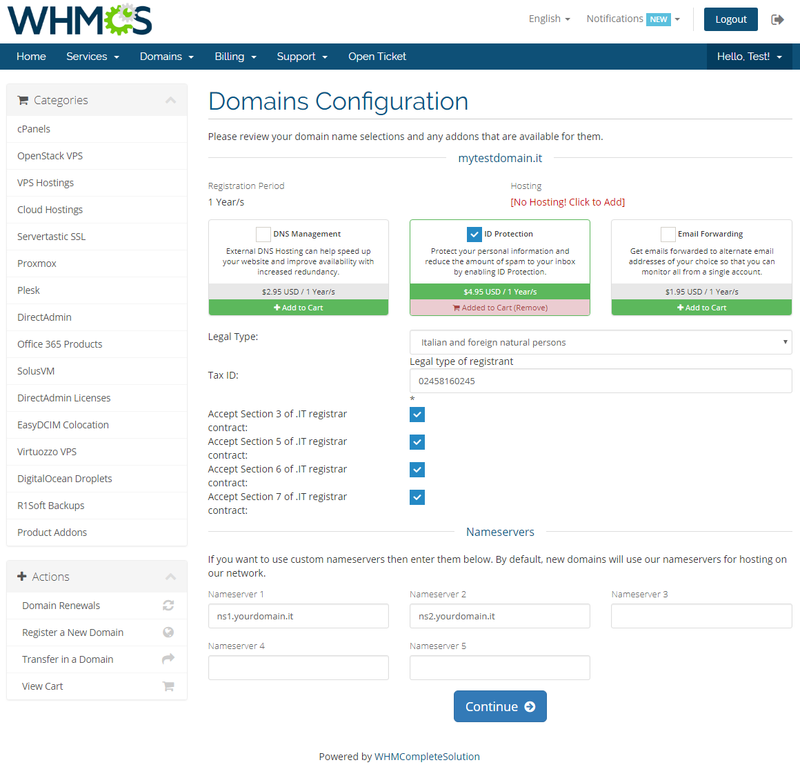 NIC IT Registrar For WHMCS is a perfect implement for every accredited registrar of Registro.it, as it has been developed to introduce automation of .it domains provisioning into your WHMCS system. 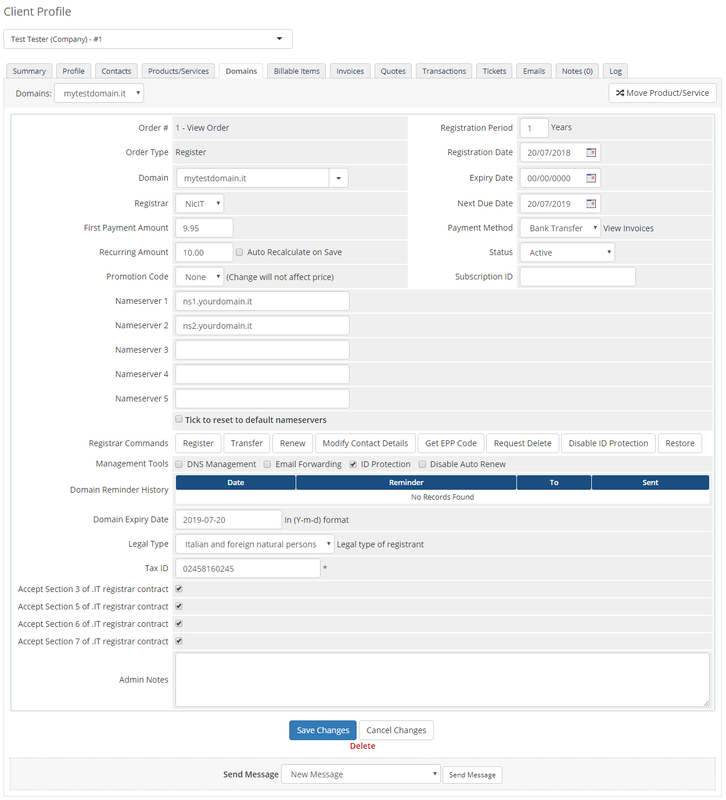 The module will not only streamline the entire reselling process, including domain registration and transfers, but also provide the attributes necessary for you to remotely toggle their automatic renewals. 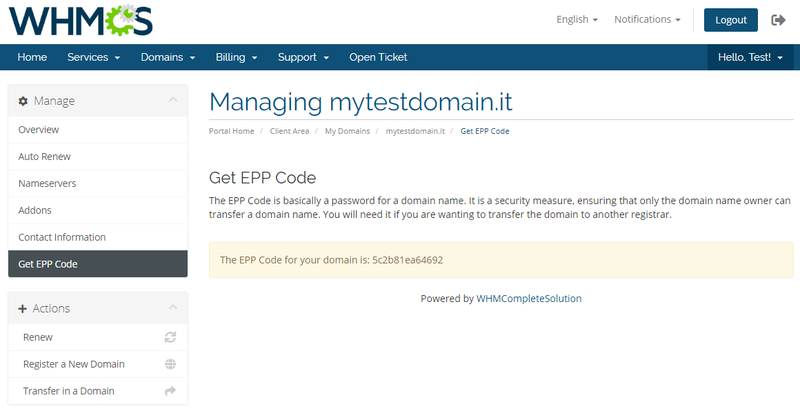 You will easily adjust the precise moment when the status of a domain shall be changed to expired, or when it has to be deleted completely. 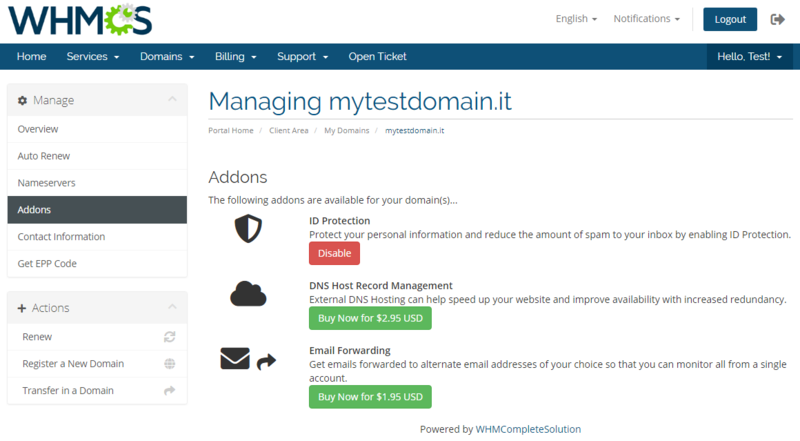 Meanwhile, your clients will be welcome to personalize each placed order, as well as manage the auto renewals and nameservers later on. 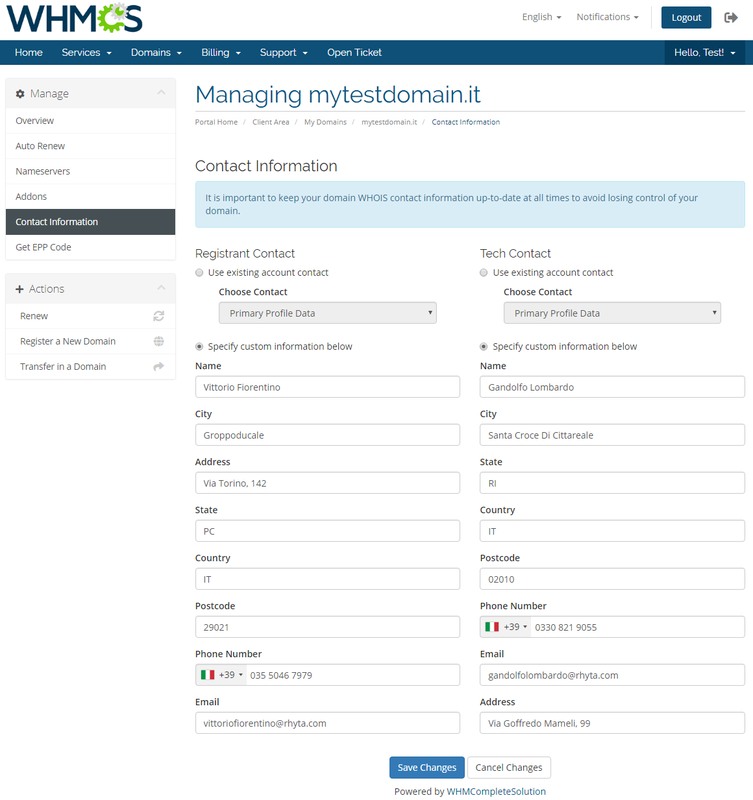 With NIC IT Registrar For WHMCS, you will conquer new markets and win the confidence of customers before you know it. 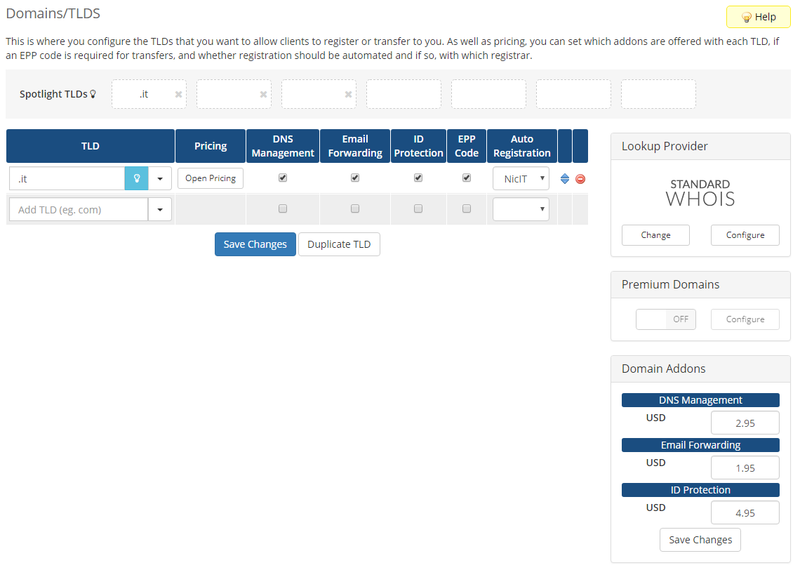 Order the module today, set up your TLDs with a few quick clicks and watch your business grow through new opportunities!